You will have no problem finding the perfect South Beach Miami hotel whether you are searching for a luxury, boutique or something for the family. When you need more space for your family or just to relax try the 1 Hotel South Beach which has a kid's club and large suites with kitchens. The Z Ocean Hotel South Beach has all suites with a rooftop pool and The Redbury South Beach is an ideal boutique for couples. The Kimpton's Angler Hotel is mid-range as well as the Impala Hotel with Art Deco style and offer glimpse into the past. The Setai, Miami Beach features contemporary accommodations and the W South Beach offers all suites with kitchens as well as balconies with great Atlantic Ocean views. No matter if you want to be in the middle of the action or in a more quiet location on Ocean Drive, there is a superb hotel for you to enjoy. When you are searching for a luxury South Beach Miami hotel that mixes Art Deco of the past with the modern amenities of the future, then the Setai, Miami Beach is perfect for you. Located along Collins Avenue on 20th Street, the Setai, Miami Beach has combined the original 1937 Dempsey-Vanderbilt Hotel with the future of along one of the best corners in South Beach. The Setai South Beach Miami hotel has two distinct different buildings which are a modern 40-story high rise and a beautiful Art Deco building of the past. There are 125 suites that feature a mixture of Asian as well as Art Deco interiors. One-bedroom Ocean suites in the newer building range in size from 470 to 900 square feet with a separate living room, full kitchen and private balcony with views of the Atlantic Ocean or the city skyline. Two-bedroom suites have 1,325 to 1,407 square feet with multiple bathrooms, separate living area, full kitchen and views of the city or ocean from your private balcony. The Entertainment suite feature 1,746 square feet of living space with 3-bathrooms, living room, full kitchen, a den and views of the ocean from a private balcony. The Grand suite is twice the size with three-bedrooms, 3-bathrooms, full kitchen, media room, spa room and huge views of the ocean from a private balcony. The original Art Deco building contains studio that range from 582 to 610 square feet with an integrated living room and views of the courtyard, Collins Avenue or the city. Junior suites are slightly larger and have a separate living room with city or courtyard view. One-bedroom suites have a balcony and view of South Beach. Bi-Level suites have 1,200 square feet with a separate living room, one-bedroom and multiple bathrooms as well as a city or courtyard view. The Setai, Miami Beach has great direct beach access where you can lounge on the white sands and enjoy a plethora of watersport activities. Other attractions within walking distance include the Bass Museum of Art, the Miami Boardwalk or you can simply walk while marveling at the Art Deco architecture in the area. 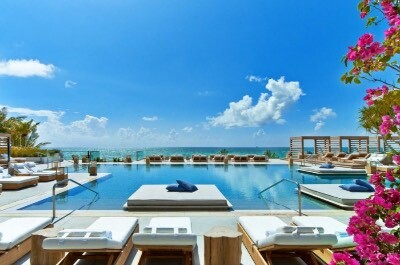 The Setai South Beach Miami hotel has three freshwater swimming pools which includes a lap pool as well as a family pool with poolside service. The complex contains a fitness center, shopping boutiques, recording studio and a full service spa. Dining onsite includes Jaya for all three meals and Sunday brunch; the Courtyard serves lunch and a late night menu as well as the Ocean Grill which prepares cuisine poolside. Nightlife includes a drink at the Courtyard Bar or you can venture off-property to SoBe Comedy Show, Skybar at the Shore Club and Delancy's Miami. When you are seeking a superb luxury South Beach Miami hotel that is perfect for couples and younger adults, then the W South Beach is ideal for you. 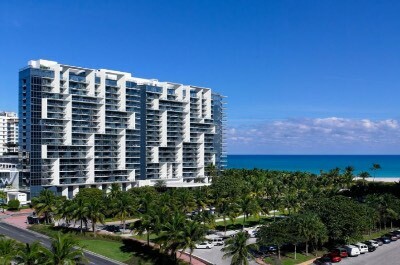 Located along Collins Avenue within the northern section of South Beach, the W South Beach brings luxury, views and service all together in one package. The W South Beach Miami hotel has a modern 20-story high rise architectural style with 312 suites that feature a luxurious modern decor. All suites have a private balcony, floor to ceiling windows and a view of the ocean. Studios range in size from 550 to 917 square feet with an integrated living room. One-bedroom suites range from 746 to 1,054 square feet with separate living room and the Mega Ocean view suite is two-levels with private plunge pool and the Marvelous Oceanfront suite has a full kitchen. Other one-bedroom suites range in size from 1,287 to 1,330 square feet with the Poolside Bungalow suite containing a full kitchen and direct access to the pool. Two-bedroom suites range from 1,792 to 2,954 square feet with multiple balconies, full kitchens and the best views available. Penthouse suites are sized 2,056 to 2,965 square feet with the Ocean view suite having a private pool and the E-WOW has two-levels of living space as well as multiple balconies. The W South Beach is 100-feet from the stunning white sands of South Beach where you will find plenty of space to lounge, play and there is a plethora of watersport activities available for you to explore. Other attractions within walking distance include the Holocaust Memorial, Bass Museum of Art as well as the Miami Botanical Gardens and you can take a free ride into the area on request. The W South Beach Miami hotel has an excellent freshwater swimming pool with a perfect sundeck that features palm trees and poolside service. The complex has rooftop tennis courts, fitness center, shopping boutiques and a full service spa. Dining options feature The Dutch which prepares all three meals and Mr. Chow serves Asian favorites for dinner as well as the WET Bar and Grille for a casual lunch poolside. If you venture offsite for dining then try the Orange Blossom Restaurant, Vintro Cafe or Morenos Cuba. Nightlife includes the Living Room Bar and Grove with offsite options like the Wall Lounge within walking distance. If you are looking for an upscale boutique South Beach Miami hotel which is perfect for couples, then why not try the Betsy-South Beach. Located along Ocean Drive in the center of South Beach, the Betsy-South Beach is situated overlooking a quiet stretch of South Beach and Lummus Park Beach. The Betsy-South Beach Miami hotel has a low rise modern Art Deco architectural style with 63 rooms and suites that feature a contemporary chic decor. Classic rooms are sized at 234 square feet with a choice of bedding and views of the neighboring Art Deco buildings. Art Deco Classic rooms feature 275 square feet of living space. Superior rooms have 234 square feet with a view of the courtyard pool. Atrium rooms are 275 square feet of living area with a view of the courtyard. Deluxe rooms are 234 square feet of space with views of Lummus Park Beach and the Atlantic Ocean. Classic Balcony rooms feature 245 square feet of living area with a limited view of the courtyard. Atrium Balcony rooms are sized similar with a full view of the courtyard. Skyline Level Bungalows are 350 square feet with a terrace overlooking the gardens. Classic suites are one-bedroom with 400 square feet of living area with a separate living room with views of the neighboring Art Deco buildings. Superior suites are larger at 468 square feet and feature a separate living room with views of the courtyard pool. Atrium Balcony suites are 360 square feet with a separate living room and views of the atrium area. Royal suites are sized at 600 square feet with a separate living and entertainment area that feature views of Lummus Park Beach as well as the Atlantic Ocean. Atrium Double Balcony suites offer 540 square feet of living space with separate living room, entertainment area and views of the atrium. The Collins Double Balcony suite has 520 square feet with two balconies and plenty of living space indoors with views of Collins Avenue. Corner Double Balcony suites sport 655 square feet of living area with views of the atrium. Skyline Level Bungalow suites have 625 square feet with big views of the city. The Penthouse Skyline suite boasts 905 square feet of living area, a baby grand piano, kitchenette and nice views of the city. You have access to a beautiful stretch of white sand on South Beach where you can swim, lounge or explore the water with your favorite watersport. The Betsy-South Beach Miami hotel has a great ocean view deck for yoga or for just sunning. You can swim in two freshwater swimming pools which include a rooftop pool as well as am ocean side pool and both offer poolside service. There is a fitness and full service spa onsite. Dining options include all three meals at LT Steak and Seafood; the Conservatory prepares light fare and the Ocean Deck serves small plates at night overlooking Ocean Drive. Offsite dining choices within walking distance includes Taquiza for Mexican, Grillfish for seafood and Il Bolognese on Ocean for Italian. Nightlife includes a quiet drink at the Ocean Deck or offsite at Score, Tequila Chicas and Mac's Club Deuce which are all nearby. When you want to stay a luxury South Beach Miami hotel that has numerous onsite amenities and is ideal for couples as well as families, then try the 1 Hotel South Beach. Located along Collins Avenue within the northern portion of South Beach, the 1 Hotel South Beach has direct beach access and overlooks the Atlantic Ocean. The 1 South Beach Miami hotel has a high rise modern architectural style that contains 426 rooms and suites which were renovated in 2015 with a contemporary eco-friendly decor. There is also a two king bed room with balcony with city view. King, Ocean view and King with balcony rooms range from 650 to 700 square feet of living space with an integrated living room as well as views of the city or ocean. The Oceanfront king room is 500 square feet with an integrated living room and prime views of the ocean. Studios have 650 square feet with or without a balcony and have a kitchen, integrated living room and views of the city. One-bedroom suites are sized at 950 to 1,000 square feet with or without a balcony, a separate living room and boast a city, ocean or oceanfront view. One-bedroom Home with balcony units sport 1,000 square feet, a full kitchen, separate living room and views of the skyline or ocean. Two and three bed-bedroom suites with balcony feature 1,500 to 2,100 square feet of living space with a full kitchen, living room, multiple bathrooms and views of the city or ocean. There are a number of Penthouse suites that range from 1,500 square feet with two-bedrooms to 2,800 square feet with four-bedrooms. These suites boast kitchens, large living area, multiple bathrooms and panoramic views of the city as well as the ocean. The 1 Hotel South Beach has a great stretch of private white sand on the northern section of South Beach with plenty of space to lounge, sun, play and swim. You will have no problems arranging your favorite watersport activity on the beach or with the concierges. 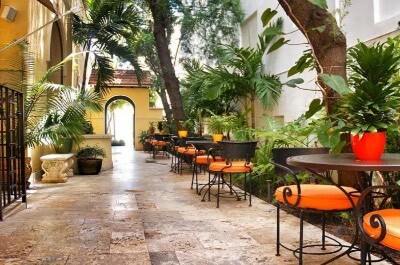 You are within walking distance to the Miami Beach Boardwalk, the Bass Museum of Art and the Miami City Ballet. There are four freshwater swimming pools which include a sleek rooftop pool and the Cabana pool converts into a hot tub. The 1 Hotel South Beach has several activities around the resort every day and there is a kid's club for the children. The 1 South Beach Miami hotel contains a fitness center, shopping boutique, kid's club and a full service spa. Dining onsite features the Beachcraft Restaurant which serves farm to table cuisine for all three meals as well as a weekend brunch. Dining selections offsite within walking distance include STK for steaks, the Dutch prepares American fare and Sylvano serves Italian. Nightlife is super at 1 Rooftop Bar and Tom on Collins onsites with Wall Lounge, Broken Shaker Bar as well as the Treehouse Miami within walking distance. If you are looking for a luxury boutique South Beach Miami hotel that is perfect for romance and has a laid back atmosphere, the Z Ocean Hotel South Beach is superb for you. 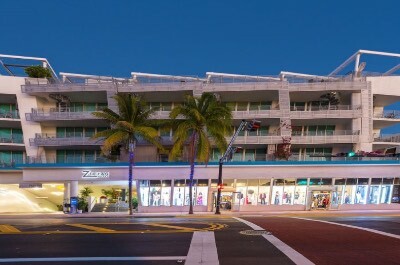 Located on Collins Avenue in central South Beach, the Z Ocean Hotel South Beach is only one block away from the Atlantic Ocean and the sparkling white sands of South Beach. 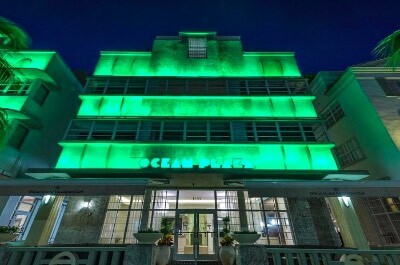 The Z Ocean South Beach Miami hotel has a low rise Art Deco architectural style with 79 suites which feature a contemporary interior. South Beach suites are spacious with floor to ceiling windows, an integrated living space and views of Collins Avenue or Ocean Drive from a private balcony. Pool Lanai suites are slightly larger with an integrated living area and private terrace that opens directly to the pool area. Spa suites have an integrated living area, floor to ceiling windows, roman hot tub and an oversized balcony that overlooks Collins Avenue. The Rooftop Terrace suites are larger than the rest with an integrated living space, floor to ceiling windows and a spiral staircase that leads to a rooftop terrace that features a lush garden as well as a roman hot tub with a partial-ocean or the city skyline views. 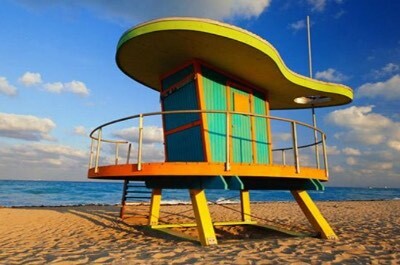 The Z Ocean Hotel South Beach has a small beach locate at Lummus Park Beach which is only a block away for the hotel. The white sands are perfect and offer swimming as well as a variety of watersport activities for you to enjoy. You are within walking distance to Lincoln Road Mall for high end shopping, the South Beach Escape Room for fun and you can rent a Segway nearby. The Z Ocean South Beach Miami hotel has a fantastic glass-bottom freshwater swimming pool with poolside service. The hotel contains a fitness center, shopping boutiques and a full service spa. Dining onsite includes the Front Porch which serves innovative cuisine for all three meals as well as weekend brunch. The Breeze Way Bar is perfect for unwinding after the beach and within walking distance you will find the Score, Tequila Chicas and the Dulce Ultra Lounge for additional evening fun. When you want to find an upscale boutique South Beach Miami hotel that is splendid for couples and younger adults, then you should stay at the Redbury South Beach. Located on Collins Avenue within the center of South Beach, the Redbury South Beach is situated just one block from the white sands and in the middle of the Art Deco District. The Redbury South Beach Miami hotel has an Art Deco architectural design with 69 rooms and suites that feature a retro-chic decor. King rooms are 350 square feet with views of the city and Double rooms feature 375 square feet of living space with a similar view. The Courtyard King room has 370 square feet with nice views of the courtyard. The Collins King room is sized similar with overs-sized windows and views of Collins Avenue. The Corner King Flat has 715 square feet, separate living room and views of south Beach and Collins Avenue. The center of South Beach is ideal for sunning, playing in the water or just watching people pass. You can arrange for your favorite watersport adventure directly on the beach from several vendors offering water skiing, jet skiing and fly boards. You ae within walking distance to shopping at Lincoln Road Mall, the Miami Beach Boardwalk or you can rent a vintage car and tour Ocean Drive. 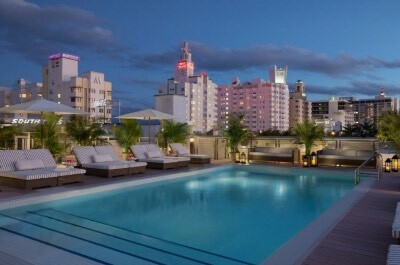 The Redbury South Beach Miami hotel has an excellent rooftop freshwater swimming pool with sundeck and big views of the surrounding area as well as poolside service. The Redbury South Beach does not have a fitness center or spa but you have access to these services at the SLS Hotel South Beach which is within walking distance. Dining at the Redbury South Beach includes Cleo which prepares Mediterranean style cuisine and you have VIP access to the restaurants at SLS Hotel South Beach. Offsite dining choices within walking distance include Ola at the Sanctuary for South American delights, Dolce prepares Italian and Pied a Terre serves French cuisine. The surrounding nightlife within walking distance includes the Cabaret South Beach, the Regent Cocktail Club and the Mynt. If you are looking for a mid-range boutique South Beach Miami hotel that is ideal for romance and couples, then you should stay at the Kimpton Angler's Hotel. Located on Washington Street in the southern portion of South Beach, the Kimpton Angler's is situated two blocks from the beach and one block from Ocean Drive. The Kimpton Angler's South Beach Miami hotel has a splendid Art Deco architectural design with 45 suites which sport a contemporary interior style. King suites range in size from 435 to 585 square feet with one-bedroom, a separate living room and walkout balconies that feature views of the resort and city. The Two-Level Loft ranges from 550 to 750 square feet with living room on the first level and a spiral staircase to the second floor bedroom. The Two-Level Terrace Loft are sized from 540 to 710 square feet with a living room on the first floor, 1.5-bathrooms, a spiral staircase to the second floor bedroom and a private terrace with garden area which overlooks the city. The Poolside Villa King features 750 square feet of indoor living space on three-levels with a living room on the first floor, a bedroom on the second floor and an enlarged outdoor terrace of 650 square feet on the third level which overlooks the pool. Patio Villa Kings sport 710 square feet on two-levels with a living on the first floor which has a spiral staircase to the bedroom on the second level, 2-bathrooms and a 630 square feet patio which has a garden as well as Jacuzzi. The Kimpton Angler's South Beach Miami hotel is two block from iconic South Beach where there is ample space to lounge under the sun as well as swim in the Atlantic Ocean and you can find all of you favorite watersport activities. There are also onsite bike rentals for guests. Offsite attractions within walking distance include Dash for shopping, the Jewish Museum of Florida, Lumms Park Beach and yo can view art at the Wolfsonian-Florida International University. The Kimpton Angler's Hotel has a freshwater swimming complete with a sundeck surrounded by lush gardens and cabanas. There is no fitness center but you receive complimentary passes to Miami Life Center for yoga and the South Florida Boxing Gym for fitness. Dining onsite includes the 660 Mediterranean Kitchen which serves fusion cuisine for all three meals. Dining choices offsite within walking distance include Otentic Fresh Food Restaurant for French and European, Las Olas Cafe serves Latin fare as well as Italian at Buon Pane Italiano. Nightlife offsite and within walking distance includes selections such as Sing Sing Karaoke, Mango's Tropical Cafe and Wet Willie's. When you want a mid-range South Beach Miami hotel which offers bigger rooms and is good for families and couples then try the Hilton Grand Vacations at McAlpin-Ocean Plaza. Located on iconic Ocean Drive between 14th and 15th Street, the Hilton Grand Vacations at McAlpin-Ocean Plaza South Beach Miami hotel is situated in the Art Deco District two blocks from South Beach. The Hilton Grand Vacations at Mc-Alpin-Ocean Plaza has a great Art Deco architectural style with 52 condominiums that feature a minimalist Art Deco interior design. There are one and two-bedroom condominiums that have a separate living room as well as full kitchen which are spacious and great for families or groups of friends. Most units only offer views of the surrounding buildings. You are one block from South Beach where you will find plenty of lounging room on the white sands as well as good swimming and you can find your favorite watersport adventure such jet skiing, sailing or standup paddleboarding right on the shores of the Atlantic Ocean. You will enjoy an easy walking distance to such superb attractions as Lummus Beach Park, Look Beyond Gallery, the South Beach Escape Room and you can just stroll along Ocean Drive for shopping as well as take a Segway ride. There are no facilities onsite except a hot tub on the top floor but you are within walking distance to Honeydoo Salon and Spa. The Hilton Grand Vacations at McAlpin-Ocean Plaza South Beach Miami hotel has no onsite restaurant but you can easily stock your refrigerator for home cooked meals. YO are within walking distance to numerous restaurants such as the Front Porch Cafe for classic American cuisine, Osteria del Teatro prepares Italian and Blocks Pizza Deli has a little bit of everything. Nightlife is steps away with the Dolce Ultra Lounge, Espanola Cigar Lounge and Score offering night club type atmospheres within walking distance. If you are searching for an upper-mid-range boutique South Beach Miami hotel that is perfect for couples looking for romance, then you should try the Impala Hotel. 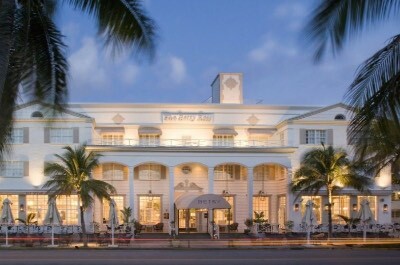 Located along Collins Avenue between 12th and 13th Street, the Impala Hotel is situated one block from South Beach and Ocean Drive. The Impala Hotel has an interesting Spanish Mediterranean Revival architectural design with 17 rooms as well as suites that were renovated in 2012 and features a Mediterranean decor. All rooms only offer a view of the street and surrounding buildings. Standard queen bed rooms sport 230 square feet and Deluxe queen rooms have 300 square feet of living space. Deluxe King rooms have 320 square feet of living area with a king size bed. One-bedroom suites feature 395 square feet with a separate living room, wet bar and sofa bed. The Grand suite boasts 611 square feet with one-bedroom, separate living room and a balcony overlooking Collins Avenue. The Impala South Beach Miami hotel is perfectly placed within the trendy Art Deco District of South Beach and only one block from South Beach as well as 12th Street Beach. These beaches offer great lounging opportunities, swimming, beach games and you can find your favorite watersport adventure from parasailing to riding a banana boat to jet skiing. Attractions within walking distance include a stroll along Ocean Drive, Lummus Beach Park, the MDPL Art Deco Welcome Center and shopping along Espanola Way. There is no freshwater swimming pool at the Impala Hotel and guests receive a free pass to Crunch Fitness which is located next door. You can order a massage in your room with the concierges or take a short stroll to the Bodies Kneaded Massage Spa. Dining onsite includes the Spiga Restaurant which features Italian cuisine with offsite selections that may include the Poseidon restaurant and Outdoor Lounge for Greek, the Naked Taco prepares Mexican as well as Havana 1957 Ocean Drive which serves Cuban dishes. Nightlife is right around the corner at The Clevelander, Sobe Live and Twist caters to the LGBT crowd. When you are seeking a budget friendly mid-range South Beach Miami hotel that is close to all the action, then you should stay at the La Flora. Located along Collins Avenue, the La Flora is situated between 12th and 13th Streets and only one block from the beautiful sands of South Beach. La Flora South Beach Miami hotel has a wonderful art Deco architectural style with basic rooms that sport a modern retro decor. Classic queen rooms are normal sized and the King suite has more living space with an integrated living room with sofa. The Deluxe queen room features a separate living room with two queen beds and over 600 square feet of living area. La Flora has a great spot on Collins Avenue with only a one block walk to South beach where you can lounge, swim as well as arrange for your favorite watersport activity such as jet skiing, parasailing or water skiing and 12th Street Beach is loaded with fun. You are within walking distance to many fascinating attractions like taking an Art Deco walking tour, Escapethequest, the Palace and you can watch an indie movie at Miami Beach Cinemateque as well as renting a scooter to drive along Ocean Drive. La Flora does not have a fitness center or freshwater swimming pool onsite. At La Flora you can indulge in a complimentary breakfast daily but no other restaurant on premise. Offsite dining selections are numerous with Argentina specialties at La Parrilla Liberty, La Sandwicherie for quick bites and the 11th Street Diner for classic American. The La Flora South Beach Miami hotel a lobby bar where you can enjoy a drink and other nightlife options offsite include the Jazid which boasts reggae and rap concerts, the Copa Room Miami for dancing as well as Mac's Club Deuce.